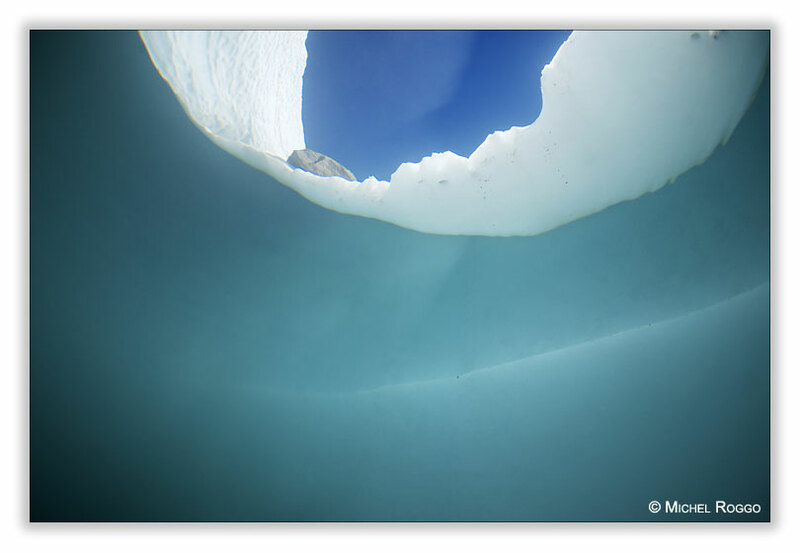 Under water on the glacier - that was the ultimate pictures I needed for the Glacier story. 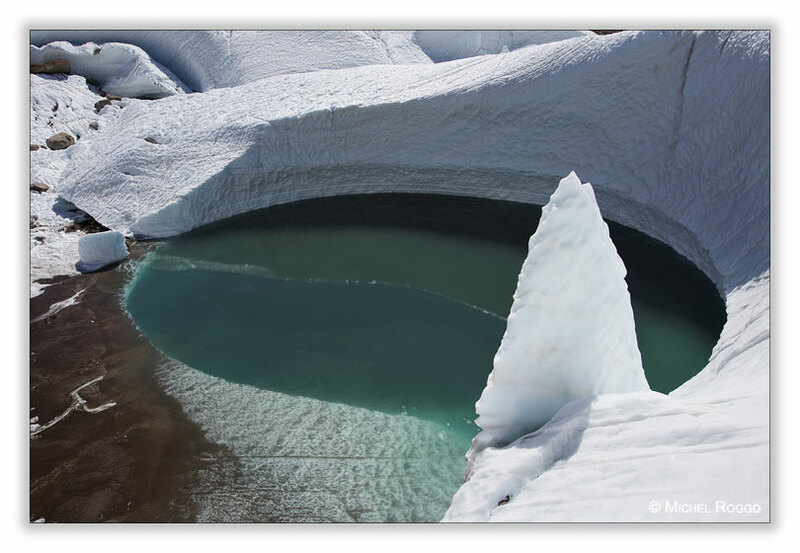 I knew that there is a meltwater lake on the lower part of the glacier, with perfect conditions at this time of the year. But you have to got there, from the upper part of the glacier, and then out of the glacier back to the valley again - it made me an eight hours walk, mostly on crampons on the glacier ice. And with the heavy underwater equipment in the backpack. 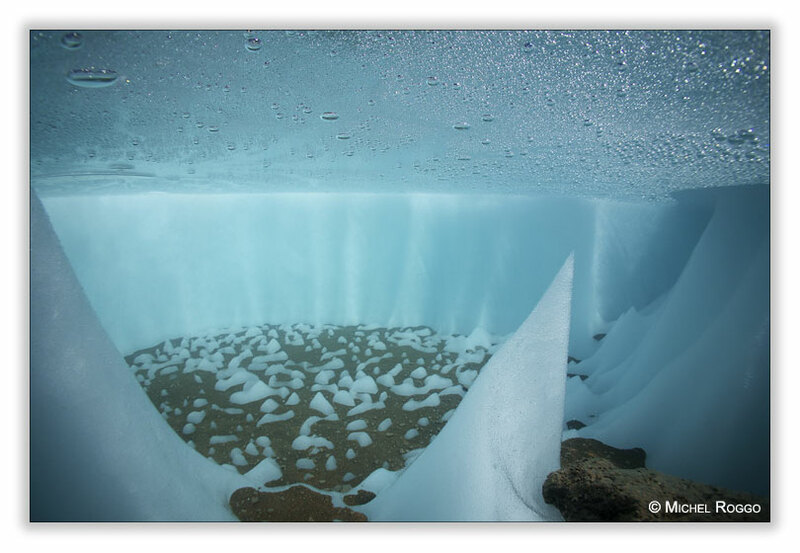 I finally made my way to the meltwater lake. How exciting! Since I first visited the Gorner Glacier last spring, I knew that this would be the most important part of my work on the glacier. In a hurry I made the images I needed, including some underwater shots. As it was already at the end of the afternoon, I really had to work fast, to be on time back down into the valley. Maybe I’ll go back to the lake later in the year, with perhaps clearer water.